SAN FRANCISCO — Folk art made from recycled remnants demonstrates the adaptive nature of traditional crafts and the resourcefulness of artisans around the world. In the absence of new or customary materials, craftspeople turn discarded scraps into objects of beauty, utility, and whimsy. Second Chances, a new exhibition now on view at San Francisco International Airport’s Terminal 3, showcases many of the ingenious creations transformed from trash by artisans across the globe. The more than 200 objects on view include such inventive pieces as Senegalese scrap metal briefcases, Mexican license-plate dustpans, Moroccan water containers made from rubber tires, and colorful South African baskets made from telephone wire. More fanciful, decorative objects range from a bird sculpture made from toilet paper mâché and magazines to an entire dress made from Mary Jane wrappers. Images of built environments, such as Simon Rodia’s Watts Towers (c. 1921–1954), a complex of structures mostly built from discarded materials, are also on view. The objects presented in the exhibition are on loan from the Museum of International Folk Art, Santa Fe, New Mexico, with additional objects provided by the Ames Gallery Berkeley, California. Photographer and designer Kelly Ludwig provided digital images for the exhibition. 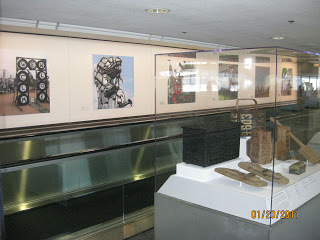 Second Chances is on view in Terminal 3, Boarding Area F from January through June 2011. 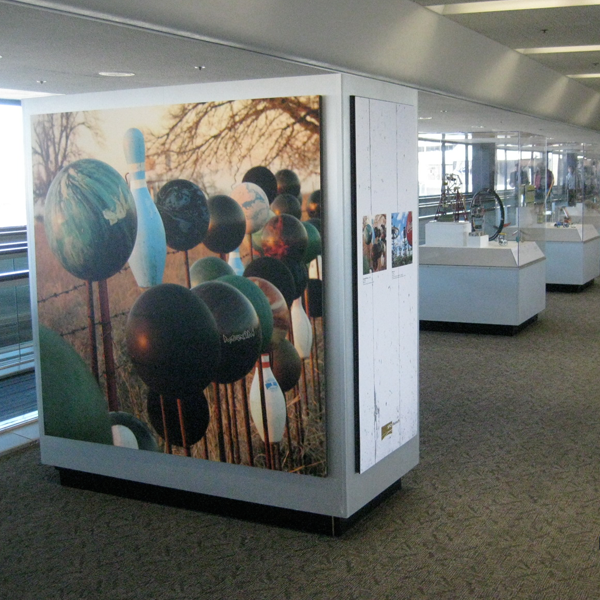 The exhibition is located post-security and is only accessible to passengers ticketed for travel through Terminal 3. 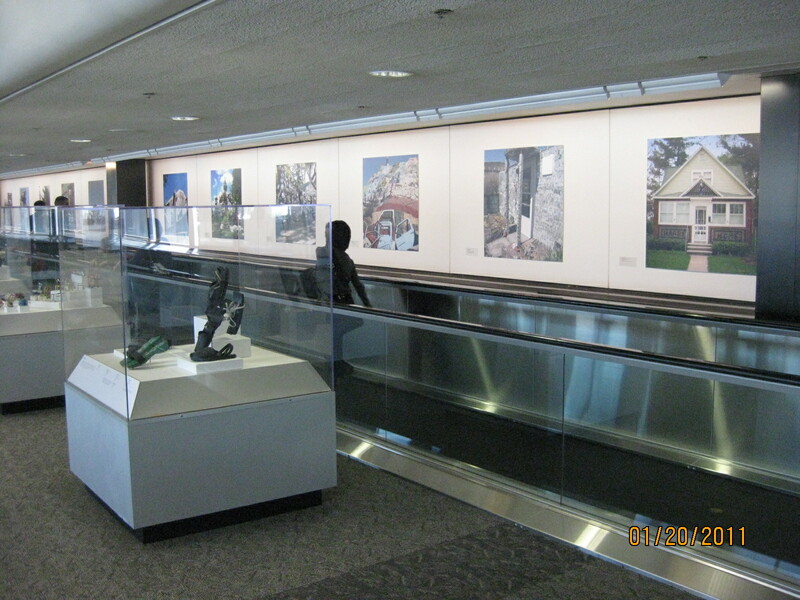 Images from the exhibition are available for download from http://www.flysfo.com/web/page/about/news/pressres/exh-secondchance.html. 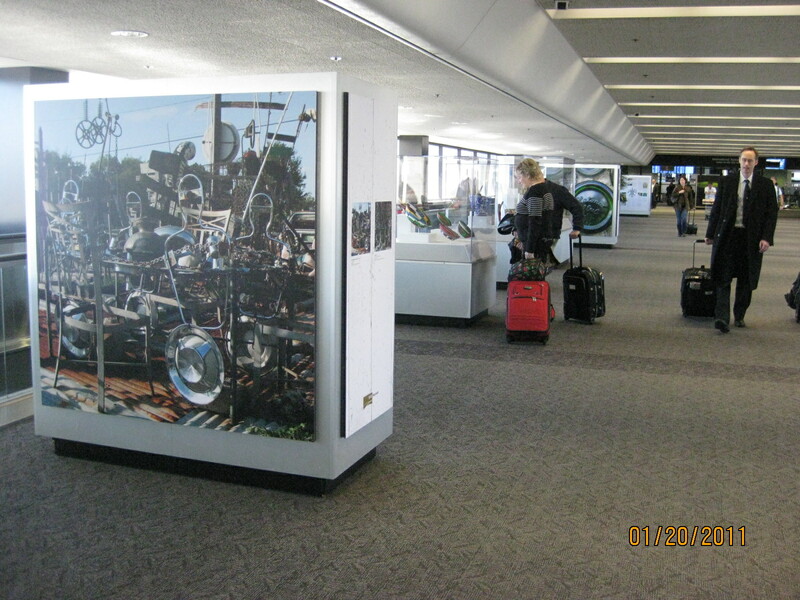 The SFO Museum program was established by the Airport Commission in 1980 for the purposes of humanizing the Airport environment, providing visibility for the unique cultural life of San Francisco, and providing educational services for the traveling public. The Museum was granted initial accreditation from the American Association of Museums in 1999, reaccredited in 2005, and has the distinction of being the only accredited museum in an airport. 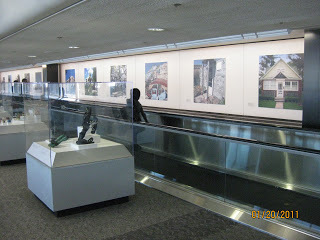 Today, SFO Museum features approximately twenty galleries throughout the Airport terminals displaying a rotating schedule of art, history, science, and cultural exhibitions, as well as the San Francisco Airport Commission Aviation Library and Louis A. Turpen Aviation Museum, a permanent collection dedicated to the history of commercial aviation. For more information, please visit www.flysfo.com/museum.